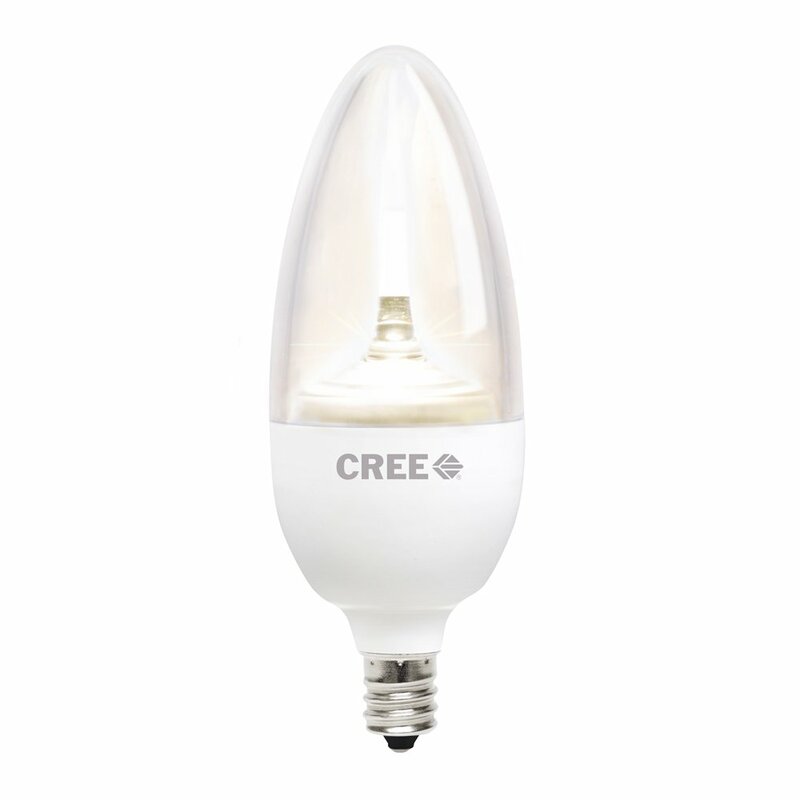 Home › Energy-Efficient LED Lighting › Cree Bb13-03527Omc-12De12-1C600 Tw Series 40W Equivalent Candelabra Decorativ..
Cree Bb13-03527Omc-12De12-1C600 Tw Series 40W Equivalent Candelabra Decorativ..
Candelabra led bulb with decorative clear, blunt tip. Ul damp rating makes them ideal for use in exposed indoor candelabra fixtures, wall sconces, chandeliers and enclosed outdoor fixtures. Size: 3-pack | Style: 40W Equivalent Soft White (2700K) Cree tw series led candelabra bulbs look and light just like traditionalincandescent candelabras, emitting a warm, decorative sparkle. They lightinstantly, are dimmable and use 88% less energy than traditional incandescentbulbs. Their decorative blunt tip, clear finish and ul damp rating make themideal for use in exposed indoor candelabra fixtures, wall sconces, chandeliersand enclosed outdoor fixtures.